OK, I admit it. I got so stinking tired of counting my steps, pushing harder on the elliptical, watching what I eat, eating less and less only to gain weight instead of lose it! It took me three long, tiring, completely frustrating and sadly depressing years before I figured out what was going on. My family thought I wasn’t trying hard enough and my doctors all wanted to put me on medications. Sometimes it’s just so simple. It sits right there in front of us: out of sight, but within arm’s reach. Friends, what if I told you that the answer to your problems is right there? Within reach, but completely out of sight. I have suffered most of my life with a broken down, weakened gut lining. It finally caught up and took hold of me in my 30s. I had always lived what I thought was a very active and healthy lifestyle, but as a youngster I didn’t really pay attention to what I was putting in that chute that ran from my mouth down through my bottom. As a teenager and young adult, I frequented fast food chains and donut shops. 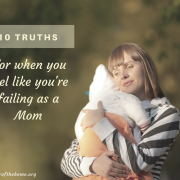 When I became an expectant mom and realized the importance of what went in my body, I began a truly healthy lifestyle, but the damage was already done. I just didn’t know it yet. In my mid-30s, I began to put on weight and slow down, needing naps and earlier bedtimes. Knowing something had to change, I began working out harder and eating less and smarter, or so I thought. The harder I tried, the more I seemed to struggle. An answer to my prayers came one day in the form of a nutritionist. Recommended by several family members, I decided to give her a call. Over the last few months, she has patiently listened as I described my challenges and walked me through the symptoms, pointing me every time to the same place. Right now, I’m 15 pounds down! Woohoo!! Hopefully this number will change again! When I received my copy of the eBook, Heal Your Microbiome, Optimize Your Health by the Real Food Forager, Dr. Jill Tieman. 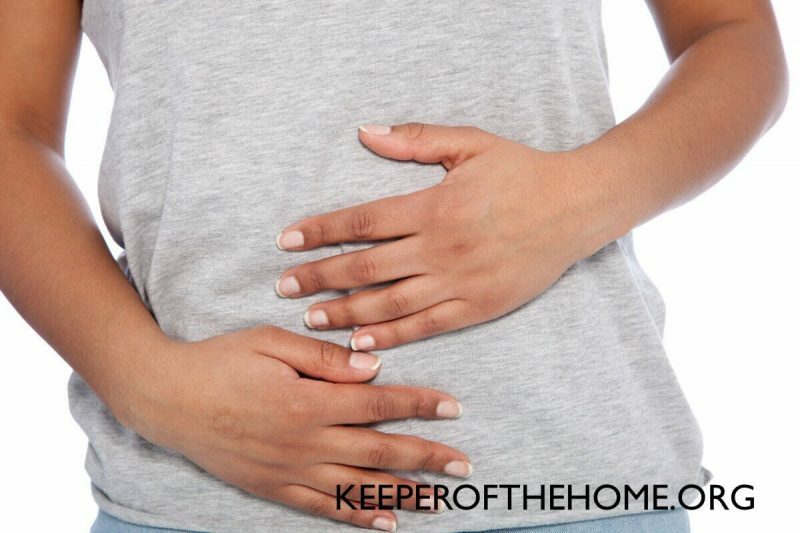 An MA, DC, and Certified Clinical Nutritionist, Dr. Jill Tieman makes understanding the gut/health connection easy. 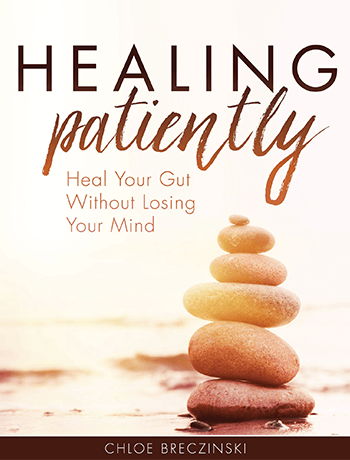 She clearly describes triggers, how and why we get out of balance, and real insight and answers into how to heal your gut. 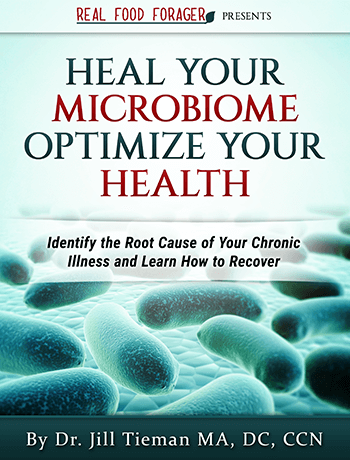 If you think you don’t have gut problems, I dare you to read this book! …most people eat bread products that have not been properly prepared. 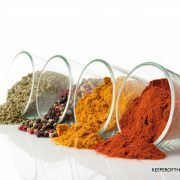 Therefore, they are at risk for digestive irritation and the resulting leaky gut. A diet filled with processed and nutrient poor fast foods laden with chemicals will certainly lead to intestinal permeability. Last, stress of any kind, emotional or physical, can negatively affect the integrity of the gut lining. The perfect accompaniment to this is another eBook: Healing Patiently: Heal Your Gut Without Losing Your Mind. Once you know how important your gut is to your health, you can follow this guide to help you get started on your way to optimal health. 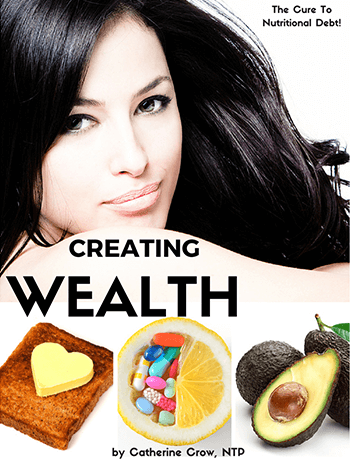 Learn the difference between nutritional wealth and nutritional debt with the eBook Creating Wealth, by Catherine Crow, NTP. Warning: Getting nutritionally wealthy may cause you to no longer fall victim to fad diets, weight loss gimmicks, and food industry marketing. It may empower you to take your health into your own hands! This book perfectly describes what happens when a body becomes nutritionally deficient. It happens over a long period of time as fewer nutrients come in than what’s needed by the body. Eventually a chronic energy deficit tricks the body into thinking food is scarce and it’s starving. As a result, the body holds on to fat as a way to survive. 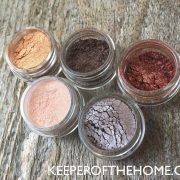 And there are many more…this is just a quick list of the ones that caught my eye! Your body is like a bank account. When the balance of nutrients gets too low, you start having issues: food allergies, wounds that won’t heal, digestive problems, a slow metabolism, and a propensity for disease. This is when most people end up at the doctor for a prescription to mask a “symptom.” If you think you might be in the nutritional negative, often your best first step is to make greater nutritional contributions to your body for several months. Everyday stresses take a huge toll on our bodies. Sometimes I think we are so used to being stressed that we don’t even realize the many ways it’s affecting us. I found myself staying up late with Stress Solutions by Evan Brand. You don’t have to continue the path towards burnout, midlife crisis, violence, anger, depression, anxiety, and the other avenues that result from too much stress. There are solutions. Over the last several years, I have felt the stress of a new marriage, blending a family, lots of traveling, and a new job, to name just a few things. While all of these are positive and exciting, they don’t come without challenges. Evan talks about the challenges of living in a city, but I can tell you that even living on a peaceful, quiet, 130 acres in the country, it’s not all quite bliss. Every time I am out walking the property, I notice the weeds that need to be pulled and the garden that needs harvesting and replanting. We had tons of rain this spring, which means lots of growth and lots of algae in the ponds, plus mold that seems to be everywhere and that—of course— needs to be tended to. Having six kids is a huge blessing and a huge responsibility. There’s never a dull moment in our house and never a time that we aren’t busy. On a recent trip, I was privileged to attend a seminar on contemplative practices. I’m a particularly contemplative soul. At this seminar, however, I realized just how valuable it was that I was able to go into my own desert for quietness and stillness. These kinds of moments help me tremendously in my everyday life. 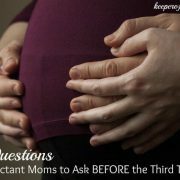 As I thought back to the beginnings of my contemplative practices, I realized that it was during child-birthing classes that I learned them. Ever heard of the Bradley Method of Childbirth? The lessons I learned 18 years ago about how to go to a place of calmness have stayed with me. Combined with my love for Christ, I am able to find that desert anywhere I need it and be filled with His overflowing peace and calmness. With this book, you too can learn practices that will help you find calm in the middle of this chaotic life that we find ourselves in. Stress has a contagious nature to it. You’ve probably walked into a room where someone was arguing and could almost sense your blood pressure rise. He outlines the stages of stress response, as well as the alarming link between chronic stress, insomnia, and the neuro-degeneration of the memory center of the brain. I also loved Evan’s 10 guidelines to eating for stress and the “stress busting 101” section which has tools, therapies, and solutions that don’t involve supplements. And check this out: Evan is a nutritional coach and personal trainer with a functional medicine practice and offers a complimentary 15 min Skype session one-on-one. Could this get any better!? You bet! 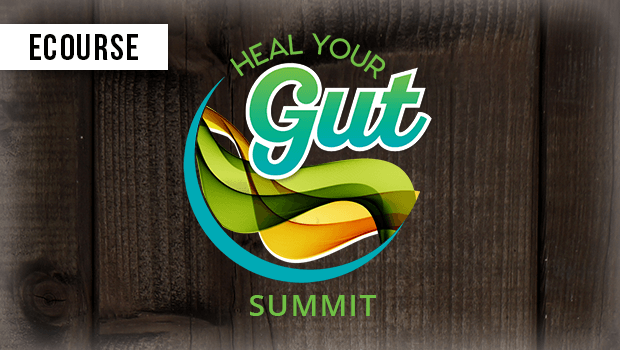 After reading all those eBooks, I also found this: Heal Your Gut Summit, with Dr. Eric Z and it is WOW! This audio collection includes interviews with 35 top health experts, including my all-time faves Donna Gates of Body Ecology, Jordan Rubin of The Maker’s Diet, and Dr. Josh Axe of Eat Dirt. I’ve listened to several already and I’m blown away at how valuable, relatable, and helpful the information is for my own life. I’ve been listening as I cook and clean and even as I get ready in the bathroom, but I keep finding myself stopping to take notes or jot down a recipe that I want to try. Hypocrates said, “All disease begins in the gut.” But often when I talk with people about gut issues, they think ‘oh gross’ and blow it off. They fail to realize just how important this conversation is. Whether or not you have Leaky Gut, the latest term for gut issues, isn’t the question. The real question is at what level do you have Leaky Gut. I don’t know who would want to go to the moon when they can study the gut. Actually much more fascinating than that old dried up moon. I love her perspective and couldn’t agree more! You can read the transcripts or listen to the audios, averaging one hour each of engaging one on one interviews. 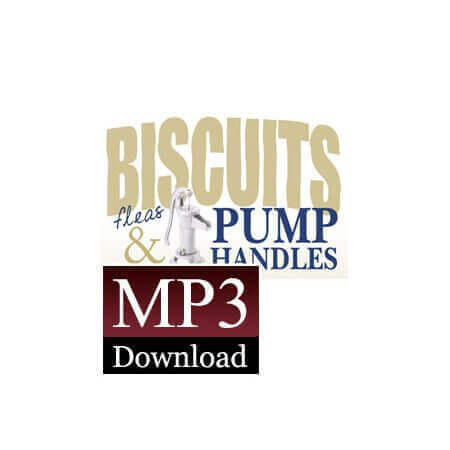 You can download or view them online. Thyroid protocol to improve energy, libido, and your hair! I was terribly surprised to learn that in the next 15 years, every other baby born will be on the spectrum if we don’t pay attention and make changes now. For ourselves, our children, and, even more, our children’s children. 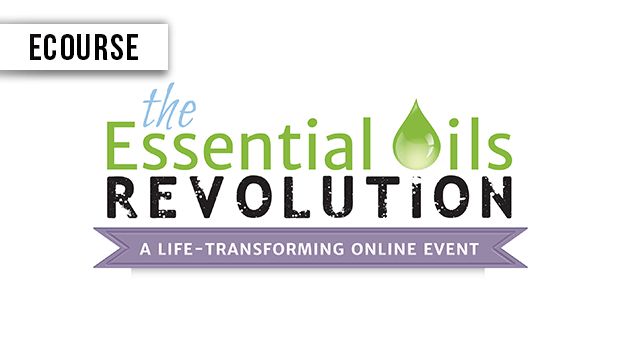 The Essential Oils Revolution Summit rocked my mind…and I thought I knew a lot about EOs! 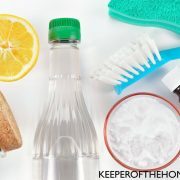 Essential oils haven’t just grown in popularity over the last few years, they go back to the beginning of history and modern science is just now catching up. The cool news is that science is confirming just how awesome and powerful essential oils are. 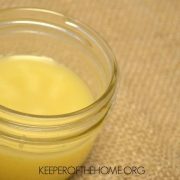 Recommended oils for animals…and which ones to avoid! True healing from the inside out that lasts! Why are we suddenly seeing such a rise in antibiotic resistant bacterias? How do essential oils fare against resistant bacteria? Can you really use essential oils for livestock? Possibly some of the most healing and effective words you will read are right here. This is how my life works, LOL, of course! I have already spent way more on my nutritionist alone, not including the supplements and drugs that I’ve tried! And I would probably have seen resources like this and thought, ‘yeah right’ and kept going…. Friends, I want you to read carefully, because this stuff really is life-changing. Don’t let it overwhelm you. Just start here with the three books. Watch or listen to the webinars/summits while you drive your mom-taxi or fold the laundry. Natural living and gut health doesn’t have to be hard. All of the other books can be downloaded to your computer or eReader and saved until you are ready to dive deeper. You’ll already have them, so there’s no need to purchase more. Right here is everything you need to know to harness your own health, get reading, listening and get to healing! What’s holding you back from making the switch over to natural, healthier living? 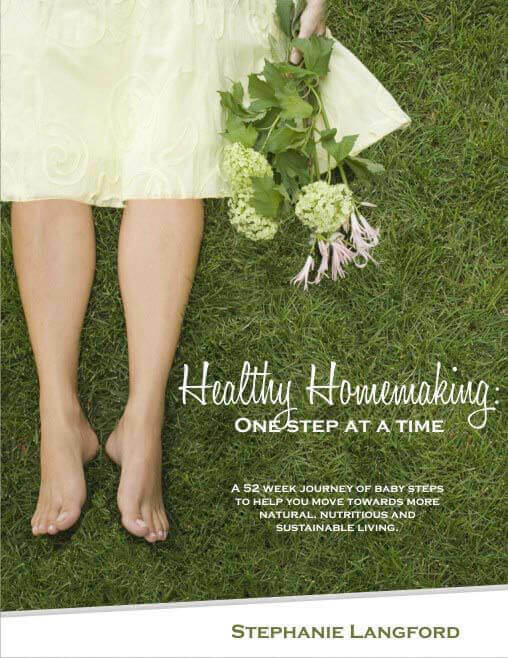 Healthy Homemaking is a compilation of practical, relevant and varied “baby steps”, designed to take you on a one-year journey. What if you could learn to meal plan in a way that helped you to eat better, while saving you money, time and stress? You can… for the price of one boxed convenience meal or a fraction of the cost of one night of eating out. 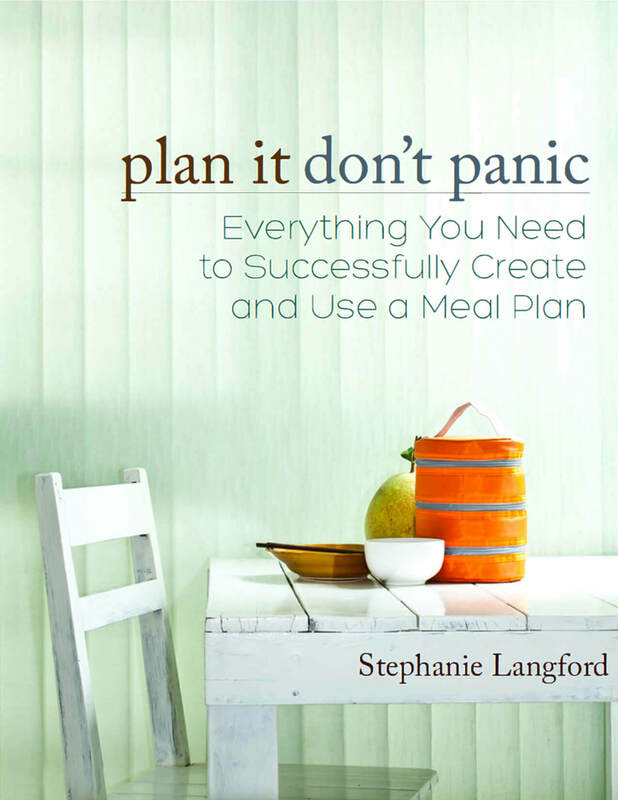 Let Plan It, Don’t Panic help you! Zig Ziglar’s Little Book of Big Quotes includes 27 pages of quotes that will inspire, encourage, and motivate you. My husband is CEO of Ziglar Family and offered to add this great book to the mix (also his favorite). The book includes quotes about ambition, happiness, attitude, integrity, success, self-image, and more. It’s not just about success at work but success in the home and inside oneself. How is it relevant to healthy living? Zig says, “You change what you are and you change where you are by changing what goes into your mind.” Whether you are looking to heal or grow physically, mentally, or spiritually, this book will help you get there! 48 Hour $100 TriLight Health Giveaway! Next Post: How Do You Fight Fear with Faith…and Win?